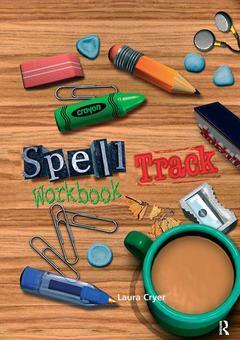 Spelltrack is a practical approach to spelling, developed to help children who have specific difficulties with phoneme awareness, segmenting, blending and phoneme-letter correspondences. It helps to maintain a systematic progression through the process of learning to read and spell. This book presents activities using tracking techniques to help those learners who have particular difficulty in memorizing high frequency words. By circling (tracking) each letter in one continuous movement, at the same time as saying the letter name, the learner is using visual and kinesthetic senses as well as learning the phonic components of the word. Writing out the spelling from memory, saying the letter names or mnemonic as he or she does so, provides reinforcement of correct letter formation and good handwriting. The workbook focuses on helping children to learn 'tricky' words that are not phonically regular. Words in common everyday sequences have been included too, to give learners confidence with these words as quickly as possible. Using Spelltrack activities can help children to scan a line of type effectively, improving reading, letter recognition and discrimination skills; correct problems of left-to-right directionality, omissions and reversals; improve visual recognition, matching and selecting; improve graphic knowledge and phoneme/graphic correspondence; work on fine motor control; consolidate phonic skills and early spelling strategies; and learn proofreading skills.